We’re your VIP, white-glove concierge for all things IT. Let us fully manage your technology so you can focus on your business. We are always available because you have a business to run. 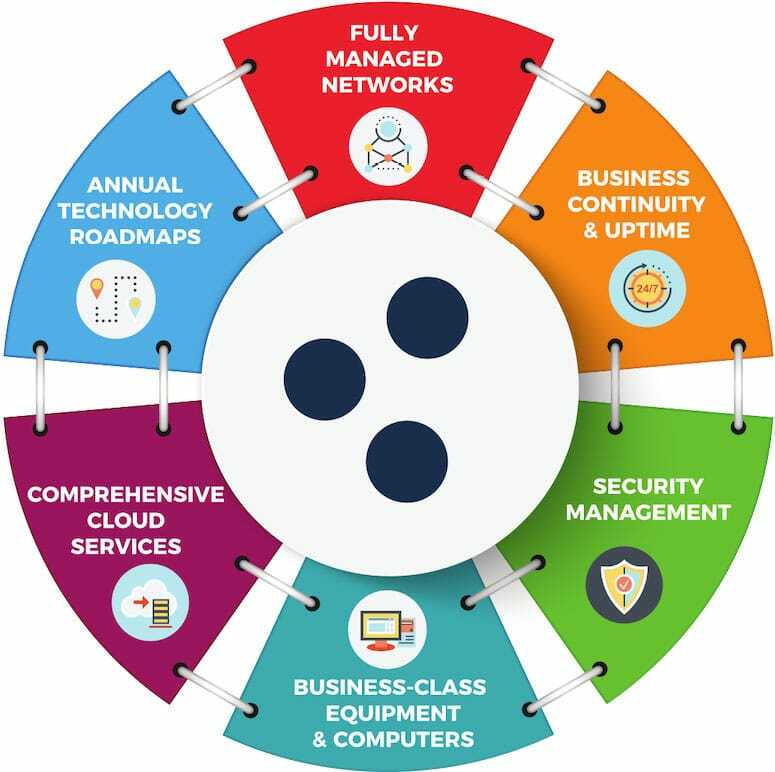 We ensure business continuity with our round-the- clock support. We offer flat-rate and fixed-fee project quotes because ROI matters. We believe in IT solutions that drive growth in ways that are predictable and measurable. The Perfect Network is our Ethos here at Neuron Computers. We help your own business succeed by building an extremely strong IT foundation. This IT foundation was formulated and perfected after decades of experience using multiple products, services, partners, vendors, and software companies. We have cultivated the very best of all of these to come up with our Recommended Technology Platform that we Guarantee will ensure business continuity and success for many years to come. The Perfect Network can only be achieved with our decades of experience in the IT industry. With our knowledgeable and expedient 24/7/365 Help Desk staff, we also ensure any changes or issues are handled quickly and efficiently so you can focus on running your business. Why Partner with Neuron Computers? Choosing our fully managed approach to technology services is a direct investment to your business growth and bottom line. We take all of the stresses and headaches of technology off your plate completely. We ensure that you are using the best hardware and software to run your business. Our fully managed network approach reduces issues and eliminates downtime. Our comprehensive cloud services enable a more mobile and nimbler workforce. Your data and apps follow you wherever you need to go. We are your white-glove, VIP concierge for all things technology. Partner with us and let us handle all of your technology needs for you. Our core service offerings are complete and comprehensive. Competitively run your business in today’s digital world – from scaling out servers, software, workstations and cloud services to fully protecting your networks with our cyber security expertise – we help you do it all with technology.